Lots of parents have horror stories about frantically trying to replace comfort items like a blanket or stuffed animal without their little ones noticing. Just having that familiar item can help children fall asleep, relax, and be a lot calmer in just about any situation. But comfort items aren’t just for toddlers. Sure, as adults or teens, we probably won’t lay on the floor of Target and pitch a hairy canary fit, but grown-ups like things that give us a warm, fuzzy feeling too. Some people are anxious by nature, and this tendency will escalate in an emergency. Certain items can be very important – and, well, comforting – in times when nothing else is certain. A favorite item, playlist, a favorite beverage, or a food can help ease your state of mind during a tense situation. The things that comfort every person will be different, but here are a few ideas to get you started. Here are a few suggestions for comfort items you may want on hand for both children and adults. A favorite beverage: Even if you can’t have it in its usual form, a favorite beverage can be a welcome relief. Stock up on instant coffee or off-grid coffee-making supplies, dry milk, hot cocoa, and tea bags. A crisis is no time to go cold-turkey on caffeine. A cozy blanket: Kids and adults alike enjoy cocooning under a cozy blanket. We have one like this on each of our beds. Back-up “lovies”: If your child has a comfort item, make sure to have a back-up for it. One of my girls had a stuffed dinosaur and the other had a ragdoll from which they didn’t like to be parted. If you can, swap the spare out for their beloved favorite and alternate them. If you don’t, trust me, THEY WILL KNOW. However, if you are unable to alternate them, a back-up lovie is better than no lovie at all. A way to play favorite music: Load an iPod or MP3 player with favorite songs and don’t forget an off-grid way to charge your player. Religious items: Add a copy of the Bible or other religious texts to your emergency kits. For many people, this is extremely comforting during a stressful time. Other items could include prayer beads, an item with a favorite quote, or a piece of jewelry that has deep meaning. Sentimental items: I carry my dad’s engraved pocket watch. You might carry photos, an old letter, or some small item that makes you think of people you hold dear. A favorite book: Do you have a book that you could read over and over? Is there a story that puts your kids right to sleep? If so, make sure to have a physical copy of your favorite reading material so you can get lost in the story during stressful times. I have a few books that I haven’t read yet by favorite authors, just sitting there waiting for a situation in which I need the distraction. Brand new (to them) toys: Speaking of distractions, try to do some stealth shopping and pick up toys at yard sales and thrift stores that will be brand new to your kids. This is particularly effective with smaller children. 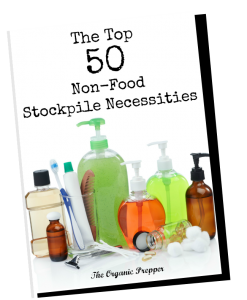 Comfort food: Keep the supplies on hand to make a shelf-stable, off-grid version of favorite meals. For example, dried pasta, canned marinara sauce, and freeze-dried beef crumbles could be the basis of a spaghetti dinner. 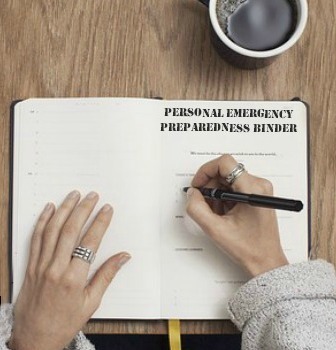 I really thought about whether to add these items to the list, but depending on the family, an emergency may not be the time to try and break long-standing habits. I’ll leave it up to you to judge the importance of the following items for your own crisis comfort stash. Chargers: If you have any family members who are totally addicted to their electronic devices, consider picking up some solar chargers or battery banks. Of course, you might welcome the opportunity to spend time with them, electronics-free. Cigarettes: If you happen to have a family member who smokes, an emergency is going to be a pretty miserable time to run out of tobacco. Alcoholic beverages: You probably won’t want to get plastered in the midst of an emergency, but a glass of wine or whiskey can help to settle the nerves for some folks, particularly if they have a habit of indulging before bed. Are there any particular items that you want to have on hand to soothe frazzled family members during a crisis? Are there things I missed? Share them in the comments section below.